Archaeological excavations by Stone Age Institute directors, Nicholas Toth and Kathy Schick, and the late J. Desmond Clark from the University of California at Berkeley, have investigated some of the earliest archaeological sites in far eastern Asia. Nick, Kathy, and Desmond began collaborative excavations in China in 1990, the first foreign archaeologists to dig in China since the Peking Man excavations in the 1930’s. 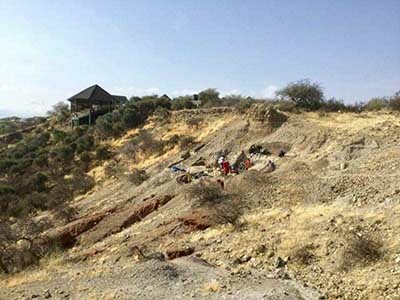 Located in the Nihewan Basin, an ancient sedimentary basin about 100 west of Beijing, the Nihewan sites document hominid dispersal to eastern Asia, early stone tool-making, and ancient animal fossils beginning at least 1.3 million years ago. Research here by a joint Chinese-U.S. team of archaeologists, which began in 1990, was the first collaborative excavation involving foreigners in China since World War II. These sites have produced Oldowan-like stone technologies associated with fossil animal bones, providing valuable information about early Homo erectus in mainland Asia. A monograph on this research will be published by the Stone Age Institute Press and is currently in preparation. During the summer of 2011, co-Directors Kathy Schick and Nicholas Toth visited China, where they developed plans for further collaborative research on very early sites (over one million years old) in the Nihewan Basin. Indiana University graduate student Blaire Hensley-Marschand joined Kathy and Nick in China, where they were able to introduce Blaire to their network of professionally established Chinese colleagues. Blaire will be involved in research there studying animal bones from sites Kathy and Nick have excavated in the past, and sites that have currently ongoing excavations. 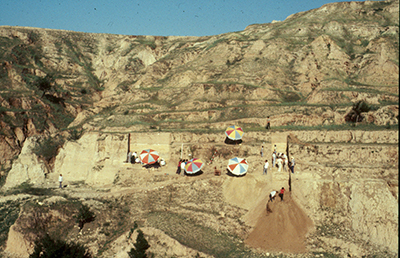 Left: Excavation in the Nihewan Basin, China. 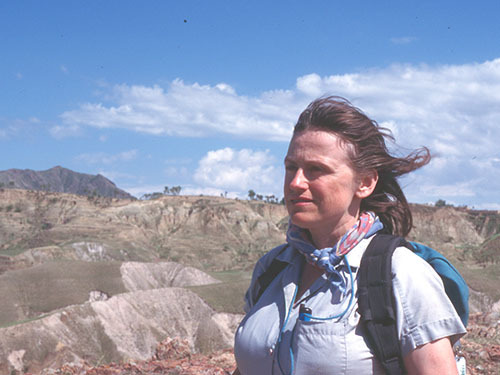 Right: Researcher Kathy Schick in the Nihewan Basin, China.